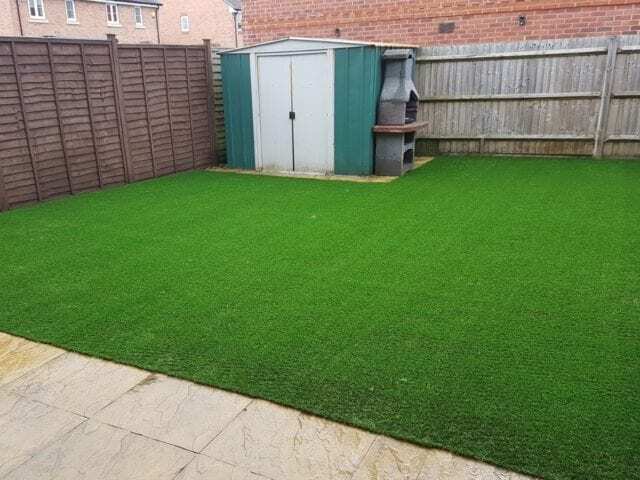 We work closely with our customers to understand exactly what they want when it comes to their installation, such as our latest artificial grass garden natural blending installation. 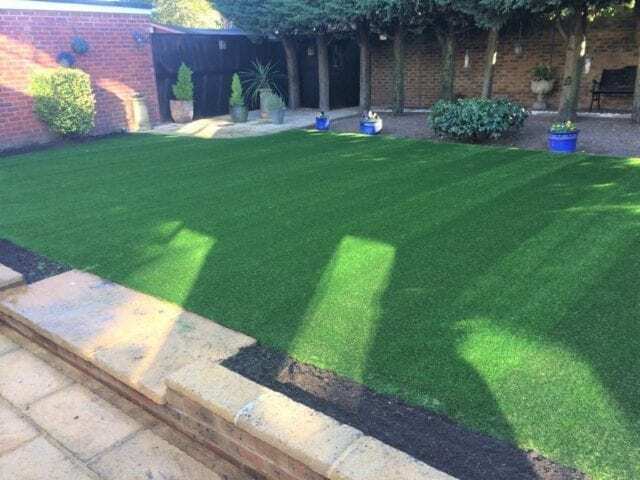 As you can see from this Trulawn Supreme lawn in Wokingham, we’ve left a strip of earth at the front of the lawn which runs parallel to the wall. 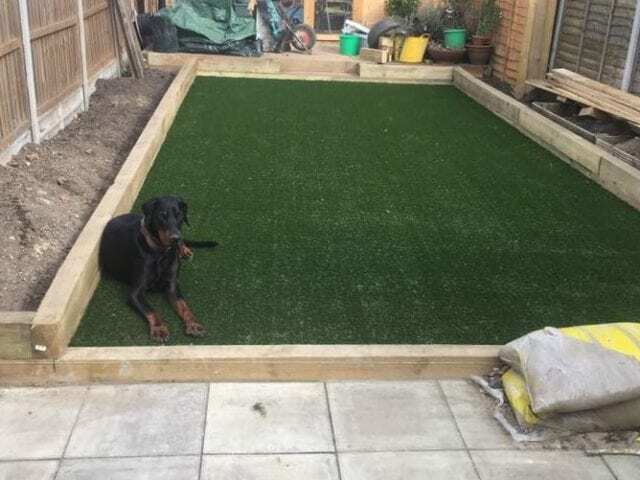 This will be filled in with flowers or shrubs to the customer’s liking. 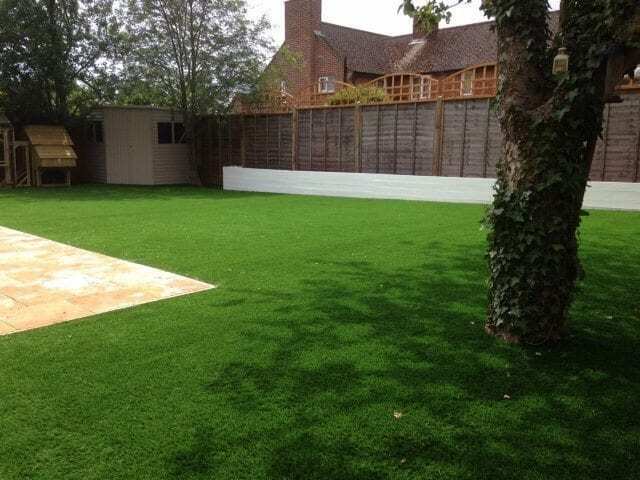 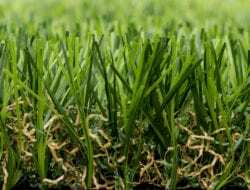 We like to encourage keeping some natural earth alongside your Trulawn to help maintain habitats as well as the authentic look of your grass! 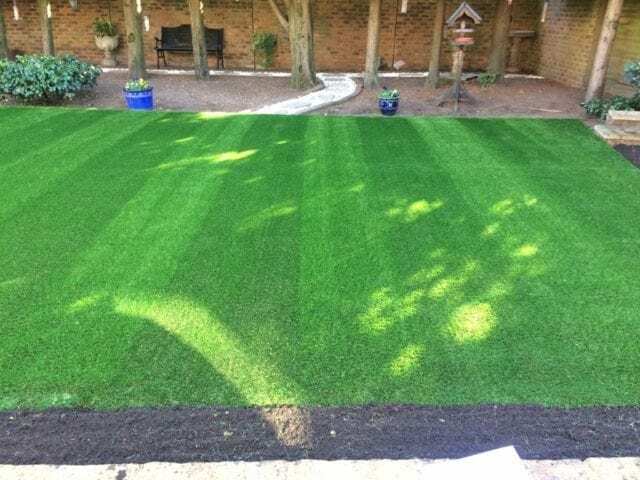 As a bonus tidbit, the striped effect is simply achieved by brushing in opposite directions.